I took this one back in January when the temperature in the early morning was around -15F. 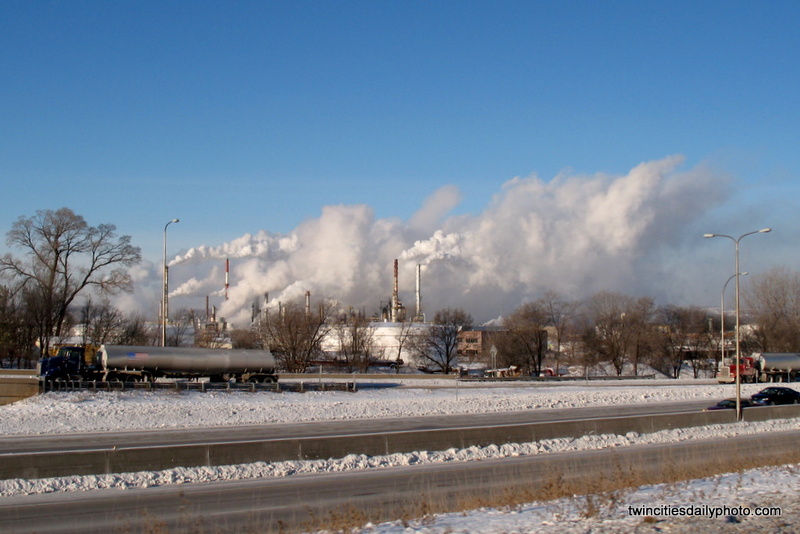 The Ashland Oil Refinery was throwing off steam everywhere making visibility of the refinery almost invisible. One thing I have noticed, the colder the temperature is, the more steam is present.